Robo Hobo's port of Gambatte - the GB/GBC emulator. Emulate the Nintendo Gameboy and Gameboy Color on your PS3. 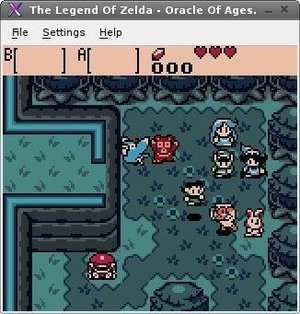 It is currently available as both a core for RetroArch, as well as an individual emulator. It used to be used in the Super Game Boy component of Higan. For security reasons, you should also check out the Gambatte Gameboy Emulator download at LO4D.com which includes virus and malware tests. Additional screenshots of this application download may be available, too.